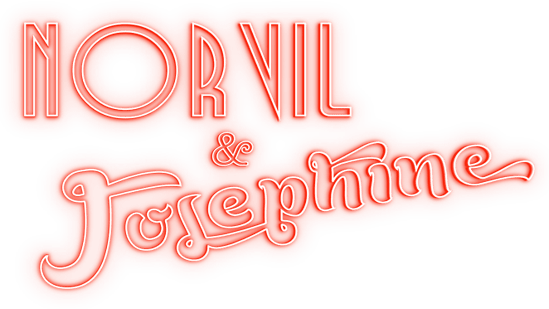 Book corporate magicians "Norvil & Josephine"! The unforgettable corporate magician duo Norvil & Josephine is based in London but they perform around the UK at events of all sizes and shapes. If you are sourcing an act for a congress or corporate event, let us know what you have in mind and we’ll suggest a version of the act that will be spectacular! Check out the video of them performing as corporate magicians for a taste of what lies in store. This act is one-of-a kind because, apart from incredible magic (including big stage illusions, if your venue has space), they also add a dramatic flair with their entertaining demonstrations of acrobatics and singing. You can book with confidence knowing these corporate magicians keep standards high. Their entertaining and award-winning show has received critical acclaim and is perfect if you're looking for a high-end magician show to dazzle your guests at an upcoming event. Experience matters and this act has been entertaining crowds for over ten years. During this time they’ve developed a wide repertoire full of options. They’re flexible to draw from this as they custom craft for you a corporate magician routine that will shine in your venue, and work around how much space you have or what technical facilities that are available. For further information on how Norvil & Josephine could appear as your corporate entertainment and ensure your guests are talking about the show for years to come, click ‘corporate magicians’ for more information.